John Duncan CA CFA, is Vice President of Investor Relations at SAP, first became interested in the technology industry in the late 1990s tech boom. 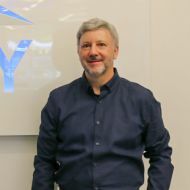 His work with SAP means he is based in New York and reports to Walldorf, Germany, largely covering North American activities for the company. Read about his transition from audit into an investor role, and what it entails, including how to organize a capital markets day. John details SAP's vision for the future of business intelligence and product cycles. 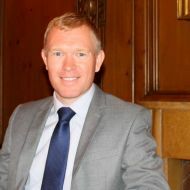 ICAS spoke to John Duncan CA CFA, Vice President of Investor Relations at SAP, about the investor relations role, SAP and the future of business intelligence, and balancing investor concerns. How did you get your start into the technology industry? I have a science and engineering degree but was more interested in business. As a student, I started reading business publications and realized that the CA qualification would be a great foundation for a career in finance and business. I qualified with EY and trained in audit in Glasgow before moving into the corporate world to work in the engineering sector. This resulted in me moving to London and taking a financial planning and analysis role with Invensys which was subsequently acquired by Schneider Electric. I worked for one of their larger divisions that produced industrial automation and controls equipment such as pumps, valves, heat exchangers and homogenizers for the food, dairy, beverage and pharmaceutical industries. During the late 1990s tech boom, I became interested in the technology industry and started exploring software companies. While there were plenty of overvalued dot-coms that would quickly fall by the wayside, I could see there were some very intriguing and valuable business models in the software sector. A traditional engineering or manufacturing company has to invest a lot of capital in physical assets and incurs significant cost in production workers and materials – there’s a lot of cost and effort to produce a modest profit and market valuation. What intrigued me most was how successful software platforms create a lot of value, especially those which exhibit "network effects". In contrast, with a software platform, the rollout to each new customer incurs relatively little incremental cost. There are few physical assets, and gross margins typically range from 80% to 90%. What intrigued me most was how successful software platforms create a lot of value, especially those which exhibit “network effects”, where adding users attracts even more users. LinkedIn and Facebook are well-known examples. It’s a beautiful model because of the low incremental cost to add users and the revenue generated. This interest led me to join Ariba in 2000 (near the end of the dot-com bubble). [Ariba is the world’s largest B2B commerce platform. Today it transacts more than $2Trillion in global commerce across 180 countries]. Initially, I headed Financial Planning & Analysis (FP&A) for Ariba’s rapidly expanding EMEA business based out of London. At that time, the volatile market environment made business planning a severe challenge. Basically, if we had a $200m deal pipeline, we needed a certain size sales and delivery team to win and execute on that business. We planned for aggressive hiring. I figured if I was to make a career in the sector, moving to the US made sense – that’s where most things happen within the technology industry. A few weeks later, that $200m pipeline looked more like a $50m pipeline, and we had to quickly slash our sales budget, delivery resources, reign in R&D and cut bonuses. Companies that didn’t react fast enough and stuck with hiring plans and bloated costs went bust. We constantly adjusted plans across different regions to meet this reality. We survived that torrid period, and Ariba prospered while our closest B2B competitors went bankrupt. In early 2006, Ariba offered me a role in their Silicon Valley headquarters, running global FP&A. I figured if I was to make a career in the sector, moving to the US made sense – that’s where most things happen within the technology industry. I’d also met my future wife who is actually American and was working in London. She was also working in the technology industry, so we knew that she could easily join me if I moved to the US. How did you transition into investor relations? Ariba was a mid-cap company with one person running investor relations. That person left, and I transitioned into the role in 2008. What helped me make this move was being in Silicon Valley and having worked closely with the CFO for a couple of years. I knew the business and understood the financials and short and long-term planning, and I was also interested in the financial markets and the sector. I demonstrated the right skillset, interests and knowledge to the CFO and was in the right place at the right time. After I moved into investor relations, we delivered a compelling story to Wall Street around the long-term value and the sustainable growth of the business. We generated shareholder value and increased the market cap from under $1bn post the dot-com crash to a $4.5bn sale to SAP in 2012. What does investor relations entail? We communicate to analysts and investors in depth information on the strategy, value proposition, business model, financial performance and key economic drivers. We also explain the technology to investors – our technical capabilities and products, our innovation and customer use cases. Investor Relations (IR) collate and develop all the content. We cultivate trusted relationships with the investment community. Investor targeting is important, and we aim for long-term buy and hold investors – talking to funds that trade in and out of the stock is not an effective use of time. How has your role changed after the acquisition by SAP? At Ariba, I managed everything globally. 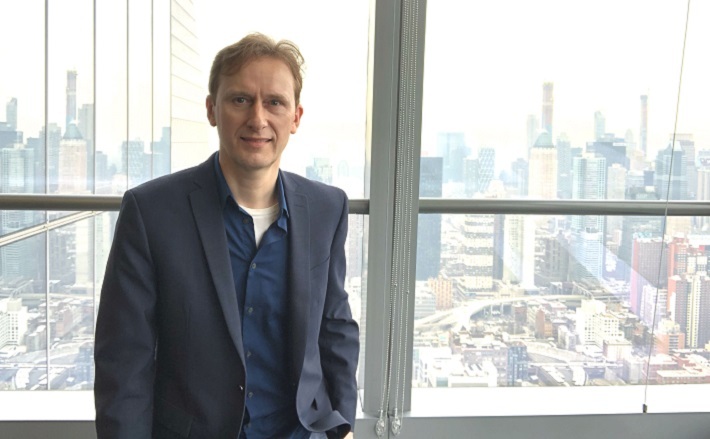 Now, with SAP I’m based in New York and report into Walldorf, Germany, where our head of investor relations is located. I mainly cover North America, which is where a third of our investor base is located, and also have established relationships with investors and analysts in London. Since the US dominates the software and technology sector, analysts here have studied the sector for years and know the sector inside out. Ariba was a mid-sized company, and sometimes you had to dig around to get the right information. At SAP, there’s a large team that produce everything on the finance side. There’s more time to focus on the narrative and story behind the metrics versus at a smaller company where you have to chase down or create some of the metrics yourself. What’s involved in organizing a capital markets day? We host our annual capital markets day in New York. It’s a high-profile event that’s closely watched by the investment community and media. That’s when we present our vision for the company. We talk about innovation and our go-to market strategy. We usually update our targets with a focus on the mid to long-term. We make presentations and host a panel where customers talk about their experience with SAP solutions and the business benefits – customer validation is very important to investors and analysts. We wrap up with a Q&A with the executive board where the audience can quiz executive management. The goal is that the investment community and business media have a clear understanding of our strategy, the transformational nature of our innovation and how we’ll meet our Wall Street targets. The investor relations team organizes the event, targets the invites and works with presenting executives to prepare the content. It’s our job to ensure that executives are aware of potential questions, and we anticipate questions and provide some talking points on how best to address them. Tell us about earnings season and what’s involved. The finance team creates the quarterly financial statements and disclosures, and we create a story that explains the performance to the external world. We’re not involved in the numbers creation, but we build the story around that. We prepare an earnings press release, scripts for the CEO and CFO, and produce a PowerPoint to walk investors through the results. Similar to capital markets day, we create an extensive Q&A anticipating any questions and providing talking points for the executives. What advice do you have for people looking to move into investor relations? Investor relations officers often come from related functions within the company – finance, business planning or strategy. Establishing a reputation in those areas is a great start, but you also have to understand the company’s strategy and key differentiators in depth. Along with that knowledge, interacting with other areas of the company is key since you need to know a bit about everything that’s happening. An investor will ask you about sales, product innovation, the financials, a legal issue – anything. Before a role opens, make your interest known to the CFO or head of investor relations and clearly explain why you’d be a great fit. I would recommend developing strong cross-functional relationships and having a broad understanding of what’s happening across the company. Also, you need to understand how financial markets operate, and it’s very important to keep informed of the latest developments in your sector. Investor relations teams tend to be small. Ariba had one person and a part-time consultant. At SAP, we only have a handful of IR professionals globally and a couple of support roles – SAP has 95,000 employees and a $130bn market cap. Before a role opens, make your interest known to the CFO or head of investor relations and clearly explain why you’d be a great fit. You have to make it known to the decision-maker well in advance. Once you’re in, you’re likely to get calls from recruiters because it’s a specialist skill. But roles are few in number, and so getting one can be difficult in the first place. Joining investor relations is an easy route for Wall Street analysts covering the sector, and they are often appointed. These analysts are familiar with the industry and may already be studying the company, and they understand the modelling and Wall Street mindset. What are the challenges in buy-side and sell-side relationships? You have to establish credibility with each and be careful to strike the right balance between being optimistic and too conservative. Analysts and investors update their models and make investment decisions based on what you say, and if you’re way off, they won’t want to talk to you. They want insightful commentary, and you have to be authentic with them. They don’t like marketing blurb. They all want time with the CEO or CFO, and because there are thousands of investors and analysts, you have to be selective and prioritize who should get a meeting or call – the CEO and CFO have a business to run and can’t talk to investors all the time. Is there an argument for companies sharing their long-term plans with investors? We've been shifting our story towards the company’s long-term prospects and long-term targets. Software companies used to sell products through an upfront license, and the customer would own that license forever and pay maintenance fees attached to that. Now, there’s a shift to a cloud subscription model – customers rent the application and subscribe to it in the cloud – and software companies forego upfront revenue but get a recurring stream over a long period, provided customers renew. The highly-sustainable, recurring nature of the cloud subscription business and the growth trajectory will give us this very healthy business model for a long period. The transition requires quite a bit of explanation for investors because there’s not as much upfront revenue, but we’re seeing over 30% growth in cloud subscriptions. If this trend continues for several years, it’ll have a significant value. The highly-sustainable, recurring nature of the cloud subscription business and the growth trajectory will give us this very healthy business model for a long period even though we forego some revenue and profitability in the short term. Early in the transition to this new model, the stock price didn’t do so well, as the cloud subscription business was too small to compensate. Now, this year is the first that the cloud subscription revenue will overtake the historical upfront license business, and it’s expected to quickly outstrip the license business. This shift has become much more broadly accepted as being the right move for SAP, and this long-term focus is paying off. We have longer term targets that are three to five years out alongside current year guidance, so we can better tell this powerful long-term cloud growth story. ICAS launched a new model for corporate reporting which should ensure more transparency. How else can the accounting profession help to restore public trust? I think investors would welcome the two-tier approach of a long-term strategy document and separate periodic performance updates referencing the benchmarks set out in the strategy report. Given the strategy document would not be tied to any period end, it could be developed and published at a separate time to better balance resources and allow more timeous reporting to investors. One challenge with the annual report is that because there are so many sections and so much detail, it is often published two to three months after period close, which reduces the information’s value. Today’s investors consequently focus on initial earnings release, accompanying investor decks and earnings calls with executive management for decision-making because these are more timely than the annual report. How does SAP envision the future for business intelligence? SAP provides a comprehensive applications suite for enterprises to run their business. This spans everything from Customer Experience; Supply Chain, Manufacturing, Logistics, Human Capital Management (HCM) - both permanent and flexible workforce; and Spend Management to control spend on goods, services and Travel & Expenses (T&E). At the center of this suite of applications is the Financials & Enterprise Resource Planning (ERP) system which orchestrate and record all of these interactions. We also offer a broad range of industry solutions – our latest being for the sports industry. We’re embedding artificial intelligence and machine learning across our applications suite with the goal of automating as many business processes as possible and to elevate employees to take on more high-value tasks. With machine learning, we look at patterns to predict outcomes and to take actions. The machine learning doesn’t have political biases and isn’t worried about relationships between different managers or office politics. HCM has early examples that are already rolled out, like automated resume matching. Using profiles of successful employees as training data helps the algorithm learn what a successful employee looks like. It can then scan resumes for similar success qualities so that a hiring manager only needs to look through four or five resumes rather than a few hundred. Also, the algorithm automatically tracks diversity in hiring and promotions and flags teams that are outliers. The machine learning doesn’t have political biases and isn’t worried about relationships between different managers or office politics. It’s a neutral observer that bases its analysis on data. On the financial modules, early use cases are fairly simple but important in terms of efficiencies. For accounts payable and receivable, machine learning enables a match between a payment and invoice even with incomplete information which greatly reduces the number of exceptions – the goal is to eliminate as much of the grunt work as possible through automation. It’s all about embedding the intelligence in the business application suite and delivering the intelligent enterprise. There’s also software that manages customer relationships and stores and tracks customer data. We acquired a solution in 2017 that records customer consent in a digital record to collect and use specific data. We can then apply machine learning and artificial intelligence so that our customers can make highly personalized offers to their consumers – we link that in real time with fulfilment. For example, for a sporting goods provider, through a health and fitness app, their end consumer has given consent to track their running data. This company has determined that the optimum time to replace running shoes is 400 miles, and through their app, when their customers run 400 miles, they recommend replacing running shoes. They then link all that instantaneously to logistics for delivery and pricing and to the backend supply chains to make this real-time offer. Another example is using machine learning and artificial intelligence to offer predictive maintenance. IoT sensors attached to field equipment can measure performance and predict when a part will fail. Replacement parts and contract engineers to fit the part are automatically ordered through the supply chain without human intervention, and any maintenance and repairs happen without the end customer knowing there was a problem.